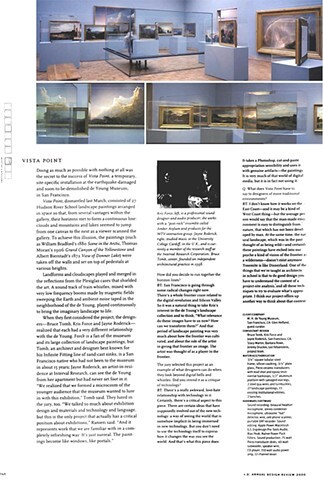 Vista Point was a collaborative installation project between Kris Force, Bruce Tomb and Jayne Roderick which exhibited at the De Young Art Museum for the exhibit, Museum Pieces. Hudson River School Painting owned by the De Young were positioned throughout the gallery creating one continuous horizon line. 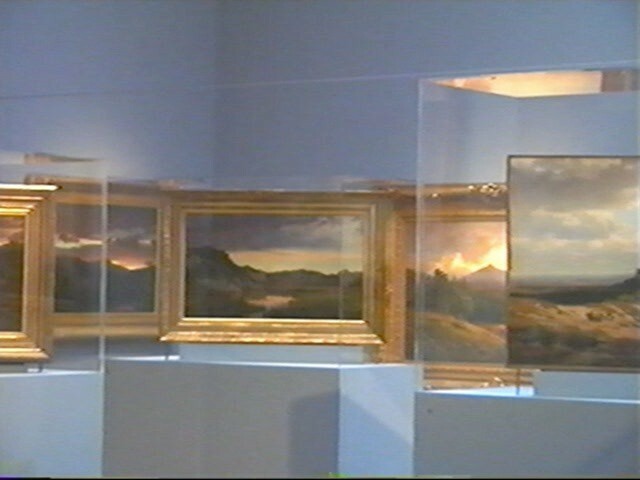 Visitors could walk around vitrines and view the backsides of the canvases. Audio was replayed through a life size vitrine of 10ft plate glass activated with a transducer to become the loudspeaker. The audio source was comprised of field recordings made throughout the museum and the grounds. Vista Point won the ID gold award for environments in 2000.